On Computers » DOES DONALD TRUMP KNOW ABOUT THIS? Earn.com lets you make money giving out your email address. You decide how much it’s worth. If you’re a big shot, or you think you are, you could charge $100 per message. After signing up at Earn.com, we wondered if this would be a good way for would-be authors to find publishers without going through an agent. We typed in “Penguin Group” and got an associate editor at Penguin Random House. We contacted him for $1, though he has yet to reply. (The contract gives him seven days, then it’s kaput.) We only have to pay if he responds. He’s looking for interesting people to write books about business challenges. It’s all done in Bitcoin, which can be translated back and forth with dollars. 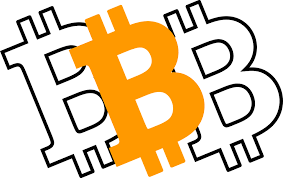 We got 84 cents just for signing up and completing a profile; it’s stored in Bitcoin. If Bitcoin shoots to the moon, it may be worth $8 someday. Wow, party time. We decided not to keep the money we earn, and chose “Folding at Home” as the recipient, one of five choices; they do disease research. We looked over their lists to get other ideas. A venture capitalist list lets you send a mass email for $50 per reply. It includes over 20 firms with over $25 billion in investable capital. The “Angel Investor” list lets you get replies from 50 angel investors who have written checks for at least $10,000 within the last two years. There are other lists for startup founders, “blockchain personalities” and others. This could go on and on, and probably will. A reader asks: “How do you know if someone has opened your email?” A question that has occurred to all of us. If you use Microsoft Outlook or the premium version of Gmail, which is part of the $5-a-month “G-Suite,” you get an option to ask for a receipt. For the rest of us, there’s a free extension called “Boomerang for Gmail,” from BoomerangGmail.com. 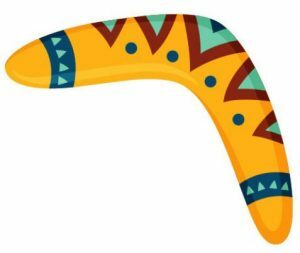 It’s boomerang time! With Boomerang, you can have your email sent again automatically, if the person hasn’t opened it within two days, or whatever time period you choose. Even better, you can put off looking at email you know you have to look at eventually. Suppose a bill comes in. It isn’t due now but you don’t want to forget about it. Tap the boomerang icon in your Gmail window and it won’t reappear until the time and date you chose. Joy hasn’t given up her leather jacket, but she’s a certified friend of the furry and a vegan. Here are some vegan apps we just learned about. VeganXPress, $2 for iPhone, tells you what’s vegan at chain restaurants and fast food places. Bunny Free from PETA.org tells you if a product is cruelty free. In other words, it didn’t make some bunny go blind for being used to test cosmetics. Why go vegan? See NutritionFacts.org and FreeFromHarm.org. Joy’s friend Frieda commented one day that Joy was getting a lot of text messages. She wasn’t. Every half block or so, her phone would tootle. But it wasn’t text messages, the sounds were from dozens of apps that sound off every time something new comes in. Don’t let this happen to you! Go to settings on your phone and find the “Notifications” area. There’s a setting for each app to allow only silent notifications. In the new “Oreo” version of Android, there’s a setting to “allow notification dots.” Each app has a dot in the little picture of it on your screen; you see it if there’s something new to report. According to Kayak.com, a travel site, the cheapest day of the week to fly out somewhere is Friday; Monday is the most expensive. Friday travelers average a $100 savings, whether they’re flying in the U.S. or abroad. Monday is the cheapest day to come back and Thursday is the most expensive. The odd thing is, this pretty much holds no matter whether you’re coming or going.